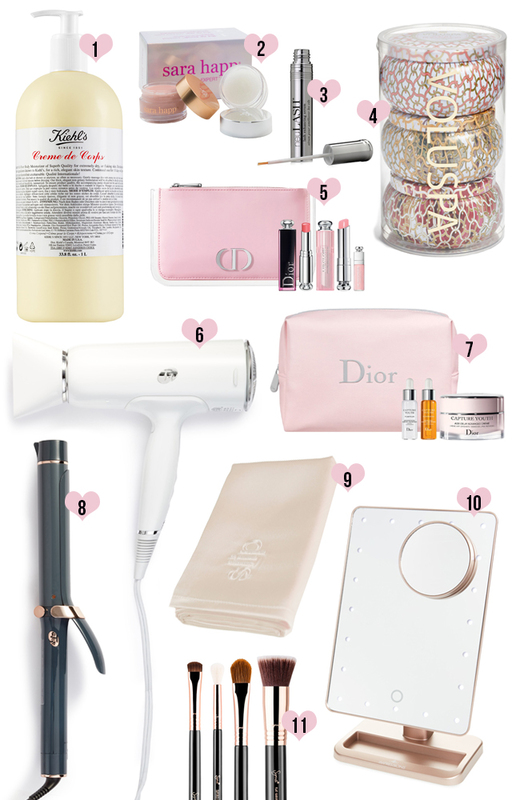 Nordstrom Sale Beauty Picks + Curling Wand Giveaway! I purchase one of these EVERY SINGLE YEAR. No lie, it’s the best body lotion I’ve ever used! 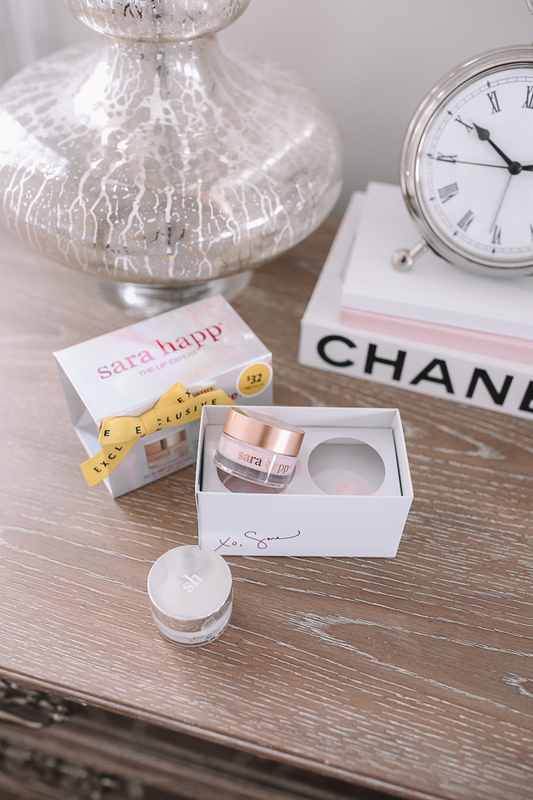 It doesn’t have a particularly strong or noticeable scent, which I like, and it’s incredibly rich, creamy and luxurious feeling without being greasy AT ALL. Plus, this bottle is huge – I use it every single time I get out of the shower, and it lasts a full year! I still have about a quarter of a bottle left, and I bought my last one during last year’s Nordstrom Anniversary Sale. If you still don’t believe how good this lotion is, check out this blog post and this one! My lips are somehow always flaky (which is really annoying when you put on lipstick!) so I picked up this lip exfoliating kit. I tried it out the other night before bed and it’s pretty magical – first you put on the exfoliating balm (it tastes sooo good, like coconuts! ), rub it in really well and then wipe it off with a tissue. Next you apply the moisturizing balm. I woke up the next morning with soft, smooth lips! I’ve never used Neulash before, but I picked up this duo to see if it works. It’s supposed to help your lashes grow! If you’ve read my Nordstrom posts for the past couple of years, you probably know that I pick up one of these sets every single year! 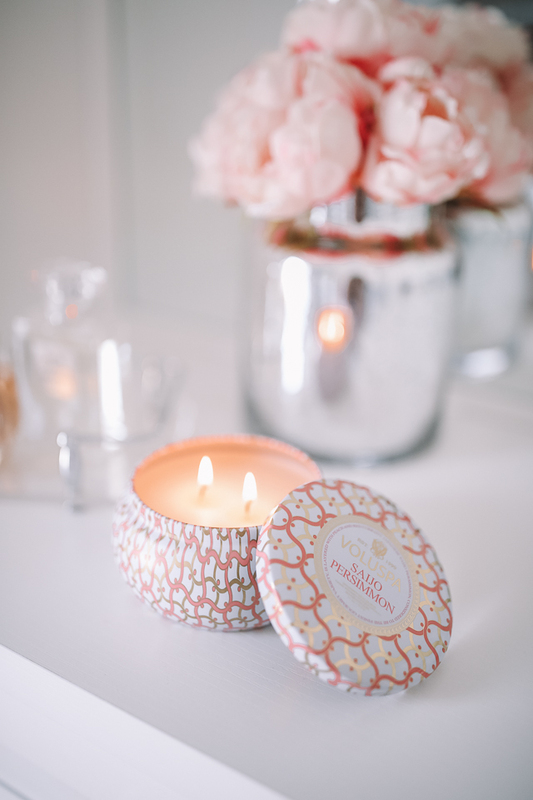 I LOVE these candles – even more than the Bath & Body Works ones! The thing I really like about these is that you can light one and in a matter of minutes, the entire house smells amazing. I’m obsessed with Dior makeup and I love this cute little pink kit – it even comes with a mini lip maximizer, which really does plump your lips (temporarily!). 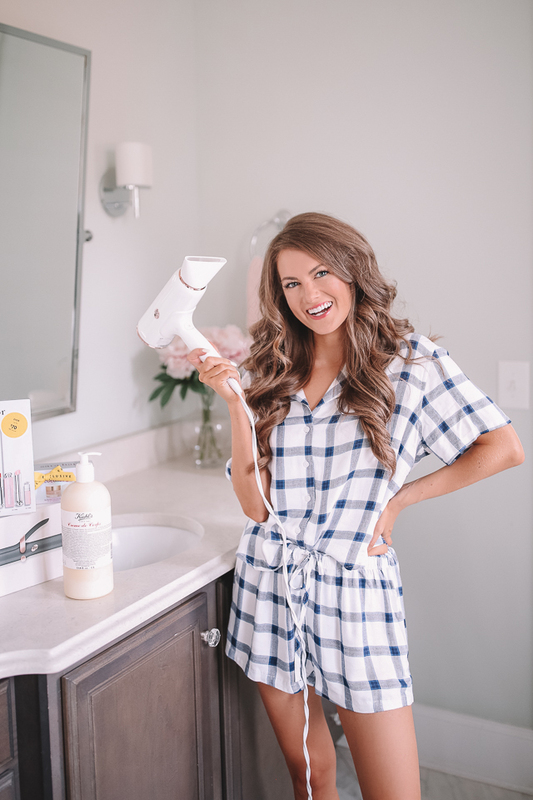 I own this hair dryer (although I got mine before the sale) and it’s the best dryer I’ve ever used. It dries my hair SO fast, and the negative ions help smooth the hair cuticle. I picked this up too, although I have never tried any of these products before! As I continue into my late 20s (and soon early 30s), I am getting desperate to stop the aging process hahah! These serums have AMAZING reviews on beauty websites. 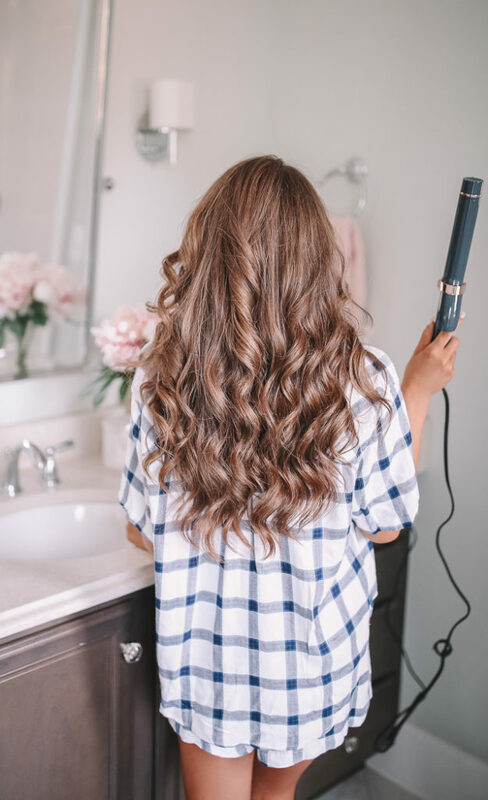 I use a T3 wand to curl my hair, so I couldn’t believe it when I saw one included in the sale this year!! This one already sold out, but could be restocked on July 20th when the sale goes live to the public (so keep checking). Or you can enter my giveaway and win one or free, below!! I have blogged about these a lot in the past (see here & here). I can’t LIVE without my silk pillowcase, I have even resorted to bringing my pillowcase everywhere with me when we travel! The silk is really gentle on your skin and hair, and also prevents pillowcase wrinkles from sleeping. Chris even loves his, too!! I haven’t tried this yet, but I’m sooo excited to receive it in the mail!! Hands down the best makeup brushes! I bought a few of these brush sets so I’ll never run out. I won’t apply my foundation with anything else! Now for the GIVEAWAY!! 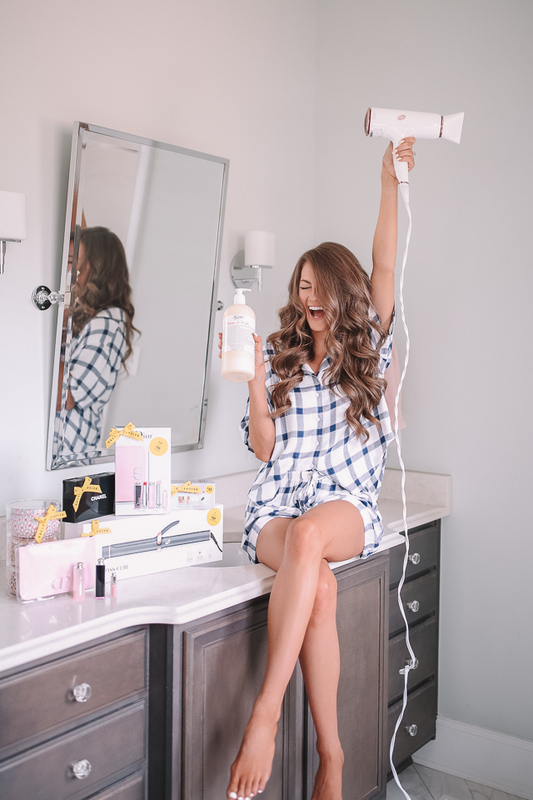 I’m giving away ONE T3 Grey SinglePass Curl 1.25-Inch Curling Iron, my favorite curling iron EVERRRR, to one lucky girl! All you have to do is download the LIKEtoKNOW.it app on your phone, follow me (@cmcoving), and email a screenshot to southerncurlsandpearlsassist@gmail.com. This will be easy if you already follow me on the app – just take a screenshot and send it to me! The winner will be announced on my blog the morning of July 20th (the same day the Nordstrom Anniversary Sale goes live to the public). 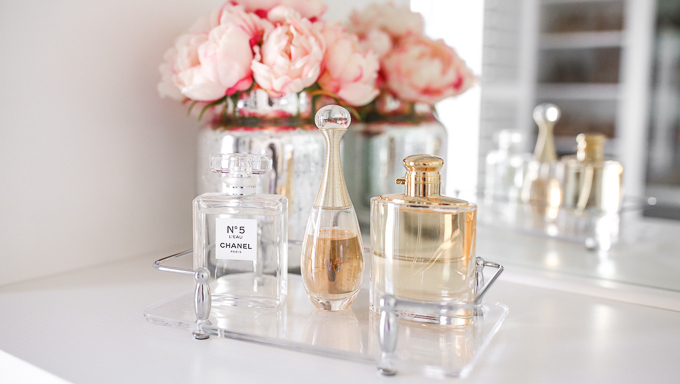 These are great beauty picks! And your curls are always perfect! Love that wand! I use that lash serum and I really love what it's done to my lashes! I entered the giveaway! Absolutely L O V E T3 products!!!! 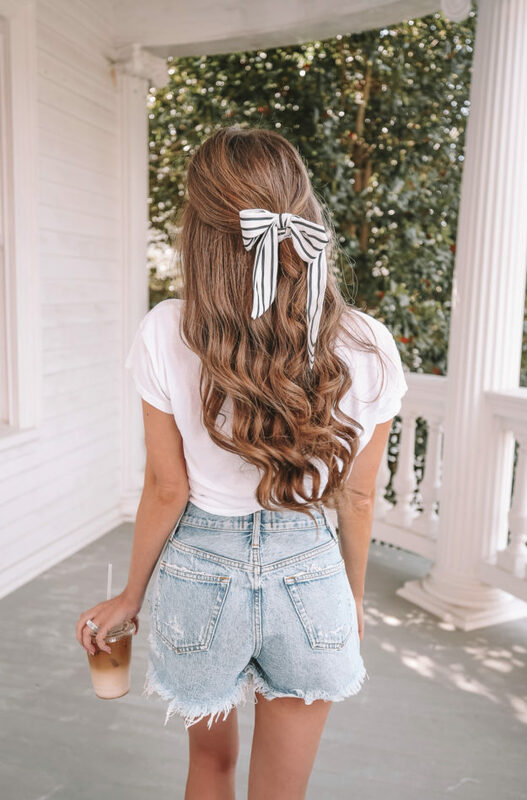 Am definitely going to have to invest in the curling iron next if I don’t win, fingers crossed though❣️ It is such a J O Y to follow your blog/instagram!!! 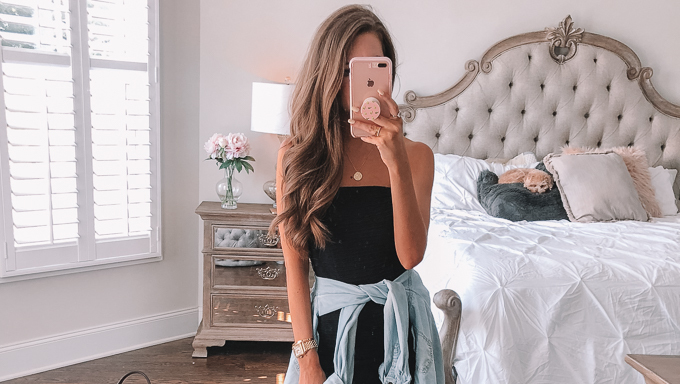 Dreaming my hair will look half this good if I use that curling iron! 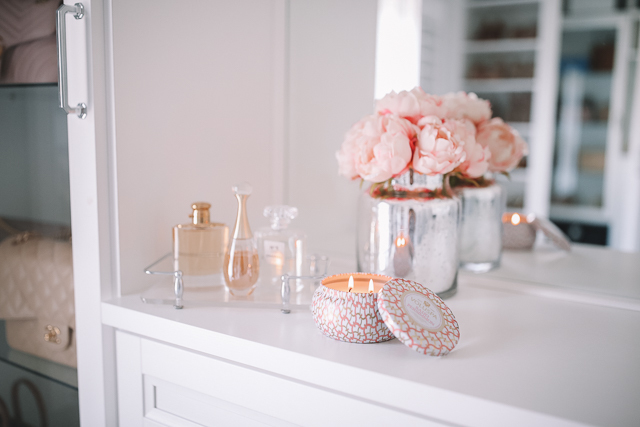 Love all of these picks & I will def be buying some of those candles, they are so cute! How do we “send” it to you via the app? muy buenas elecciones!!! Me encanta tu pelo! Just a heads up I copied the email address directly from your post above and received an error: “the email address doesn’t exist.” Is there perhaps a typo in what you provided above? Nice! Thanks for all of the tips! I bought the blow dryer at the sale. Yasss! Caitlin, so happy you did a beauty Nords post. Saijo Persimmon is one of my favorite candles. It also comes in the mini set. I try to buy these for christmas gifts every year. Its such an easy buy. 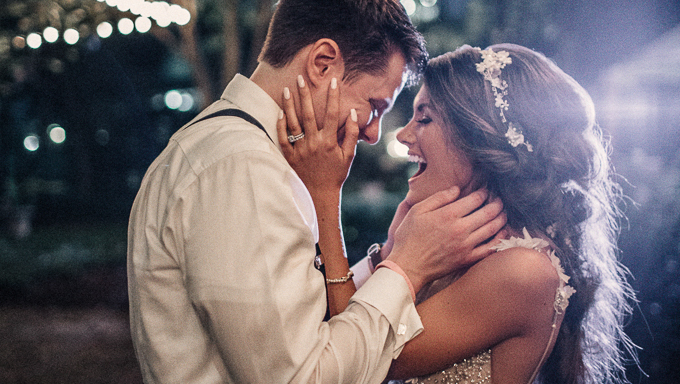 Thank you for sharing your top faves! Neulash seriously did wonders to my eyelashes! I also put a little on the sparse areas in my brows. I buy it every year in the sale! I really enjoy Dior makeup aswell! You always have the most perfect curls! Thanks for sharing! I’ll definitely enter the giveaway! do you know how much the slip pillowcases were? They seemed to be sold out online and i trying to decided if i should wait and see if they restock. The DK deodorant is a great deal too if you’re dedicated to it like I am! Such a cute post! I love those candles too, favorite of mine. Actually, I have one lit right now haha. Note to add: in case this sounds sketchy I am not representing any other company or am being paid to say this. I am simply a concerned devoted blog reader! My hair refuses to hold a curl anymore, maybe it's time for a tools upgrade! Need that curling iron! And to grow out my hair..
Having long hair, it's hard to find a way to have the curls last all day. 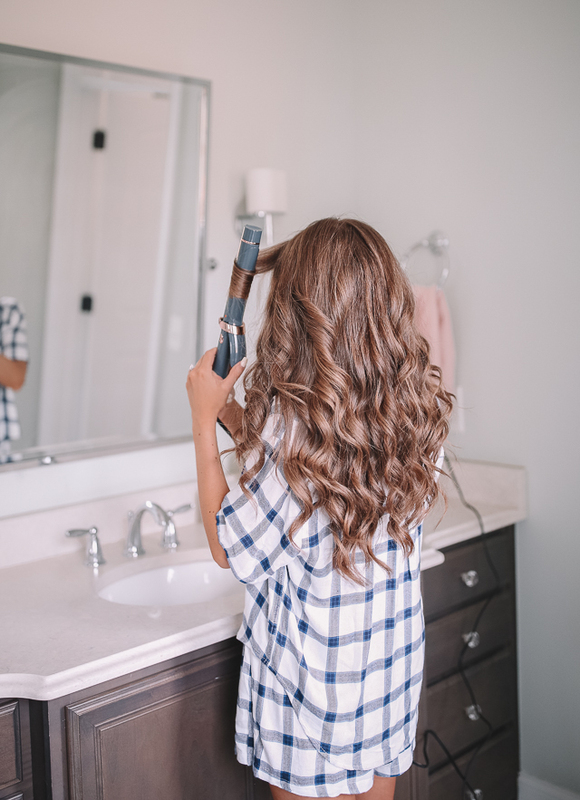 I've heard great things about the reliability and sturdiness of the T3 Curling Iron. Loveeee your curls! Hoping I can rock some cute curls/waves with my “mom” LOB! I am dying to see the sale picks! I was hoping one of the T3 irons would be on there so it would be awesome to be the winner!! You are always so generous!! Thank you so much! I love your curler!! I think the Charlotte weather in fall would hold a curl so well!! Fun! Need to hit them up! !